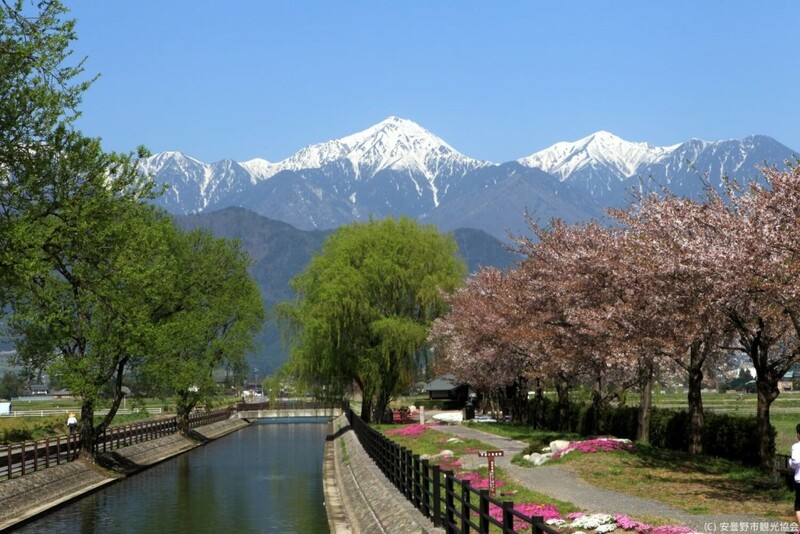 As mentioned in the recent cherry blossom forecast, Nagano’s long winter has finally come to an end! 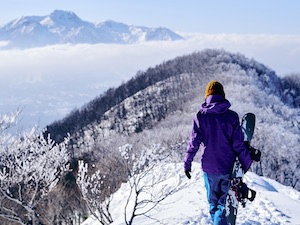 The snows that attract skiers from all over the world are giving way to the leaves, buds, and blooms of the Green Season. 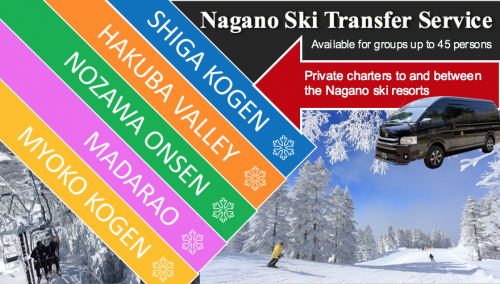 Enjoy Green Season activities against the backdrop of 3000m high mountain peaks, with easy access from Tokyo. 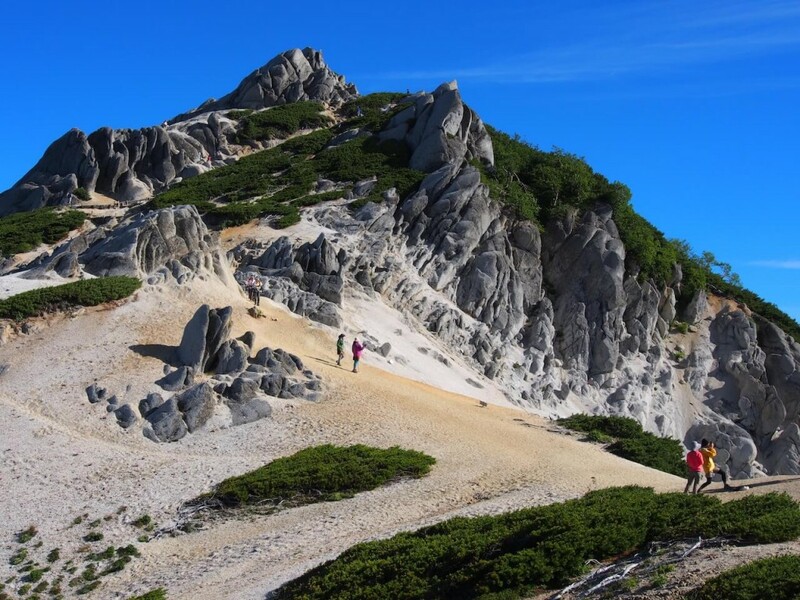 Azumino sports a wealth of outdoor activities, from rock climbing and casual hikes to enjoying the clear waters flowing down from the mountains while canyoning or from atop a SUP (stand-up paddle board). 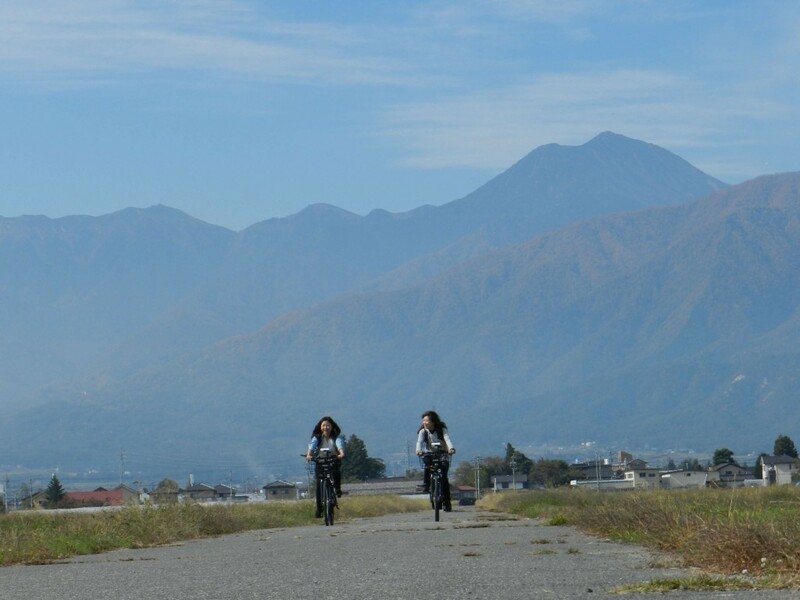 But foremost among the activities we would like to recommend is cycling in the Matsumoto – Azumino area. 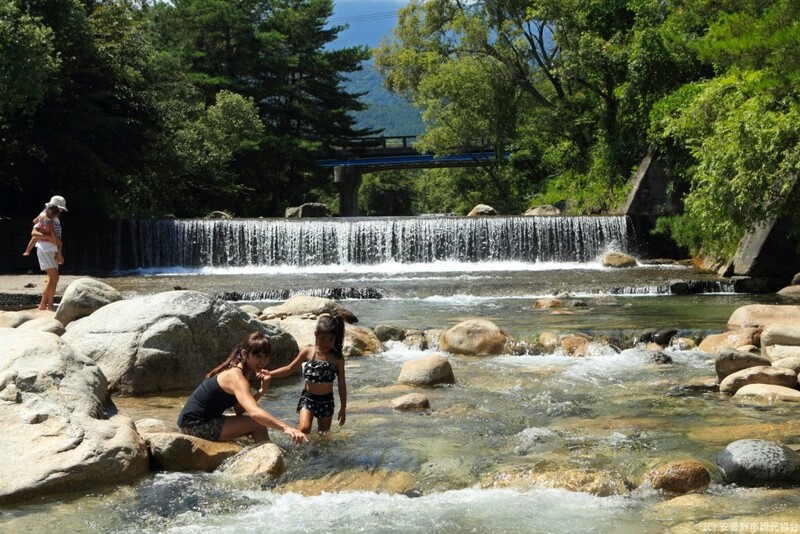 Located in the center of Nagano Prefecture, the Matsumoto – Azumino area is famed for its cool, clear waters, flowing from the mountains of the Northern Japan Alps. 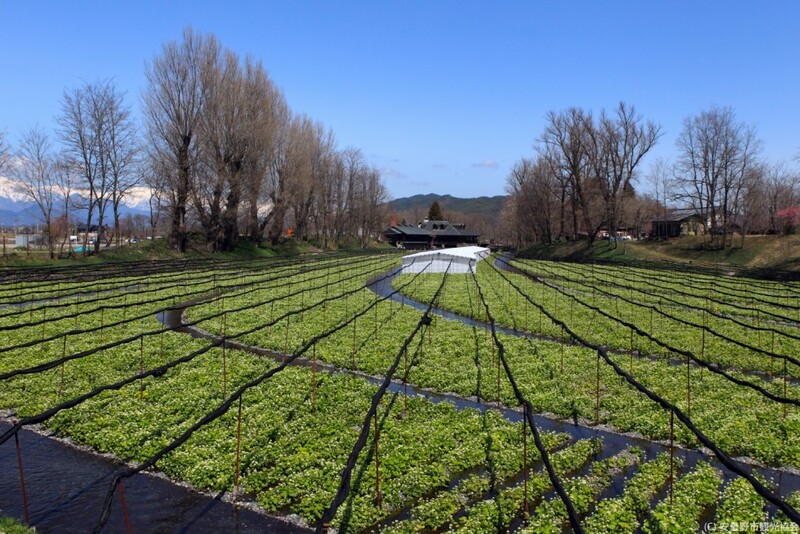 The area is home to Japan’s largest wasabi farm, producing the largest volume of wasabi in the country, and correspondingly, the world. 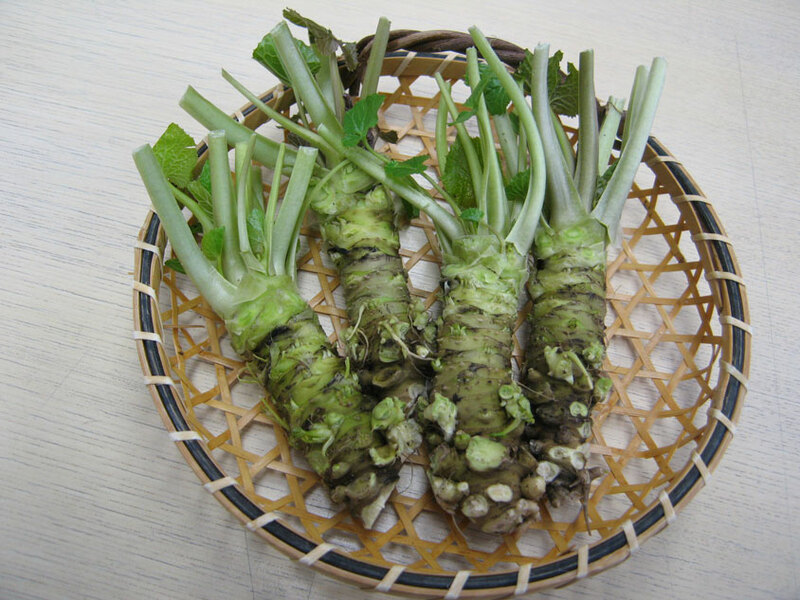 (Growing wasabi requires a stable, year-round supply of cool and extremely clean water.) There is a good chance that the spicy green paste that visitors to Japan are enjoying with their sushi and sashimi originated here. 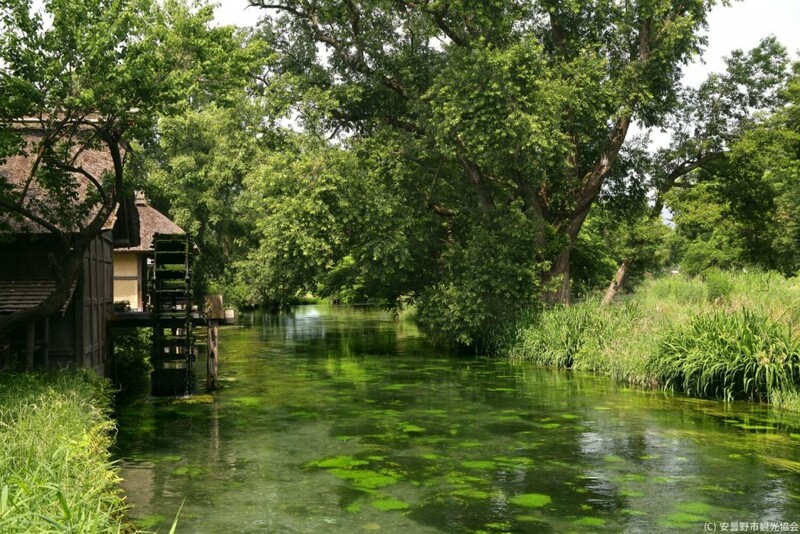 Cycling through the countryside beside a gently flowing river, carrying water from the surrounding mountains, is a truly wonderful experience. 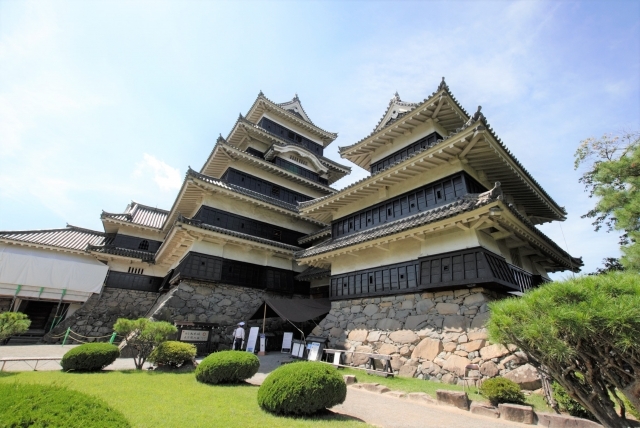 Why do you recommend the route to Matsumoto Castle? I know that Azumino is an incredible place to enjoy cycling. But why, as a foreign tourist, do I have to visit the castle? -What?! It’s a castle! Don’t you want to see it? By cycling about 15km (!) 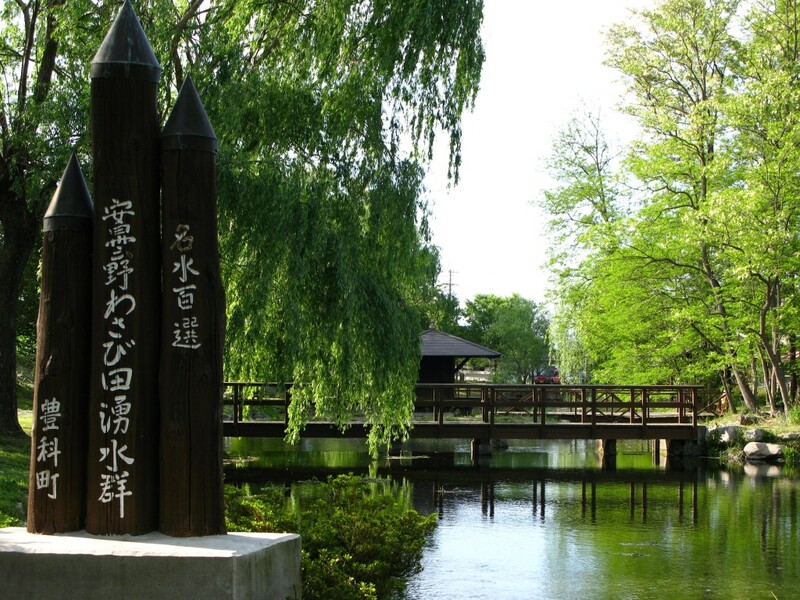 from Azumino you can reach Matsumoto Castle, one of only 12 remaining original castle buildings in Japan. Unlike the castles in Osaka and Nagoya that have been completely reconstructed using concrete, Matsumoto’s Castle is a ‘real castle’ built around the year 1600. Hey everyone! You can see a real Japanese castle in Matsumoto!! 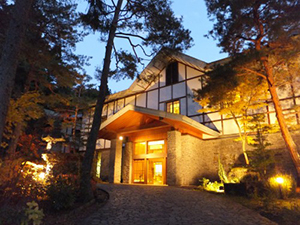 The castle is also one of only four in Japan that has been designated as a National Treasure. 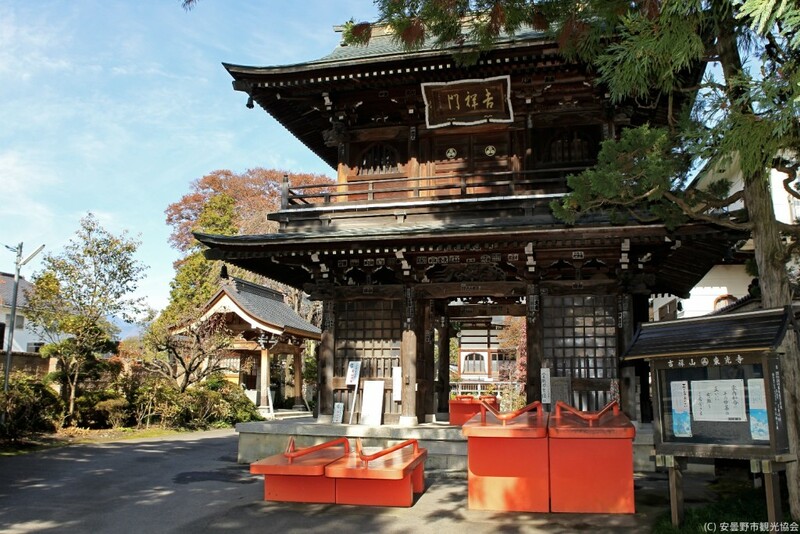 In other words, it is one of the most important pieces of traditional Japanese architecture in the world. You simply have to pay it a visit. Let’s cycle from the world’s largest wasabi farm to one the world’s most significant Japanese castles. Why? Even I am not sure anymore… But it sounds fun, right?! I’m sure you are excited to jump on a bike and start pedalling, so I feel bad about letting you down after all that excitement… But unfortunately it is actually a little tricky to arrange your own cycle trip from the wasabi farm to Matsumoto Castle. The availability of rental bicycles is not the best, and while share-cycles are available, the level of foreign language service has not advanced at the same rate as in other parts of the country. We researched it thoroughly, but are afraid to report that it really is rather difficult at present. But do not fret! 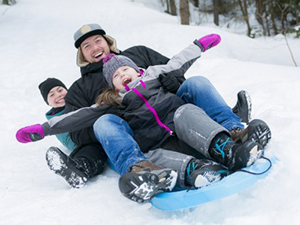 Snow Monkey Resorts is arranging a tailored tour to take care of all the planning and organization for you. If “this text” is a clickable link, then the tour is ready! Click away! Also, while not involving cycling, we are happy to present our culinary tour of the area. Another option for visitors wanting to get around the area under their own steam are the two recommended cycle courses on the local tourism association’s website. That said, if you really are set on travelling between two of the (probably, almost definitely) #1 sights in the whole wide world, then the information below should prove helpful. 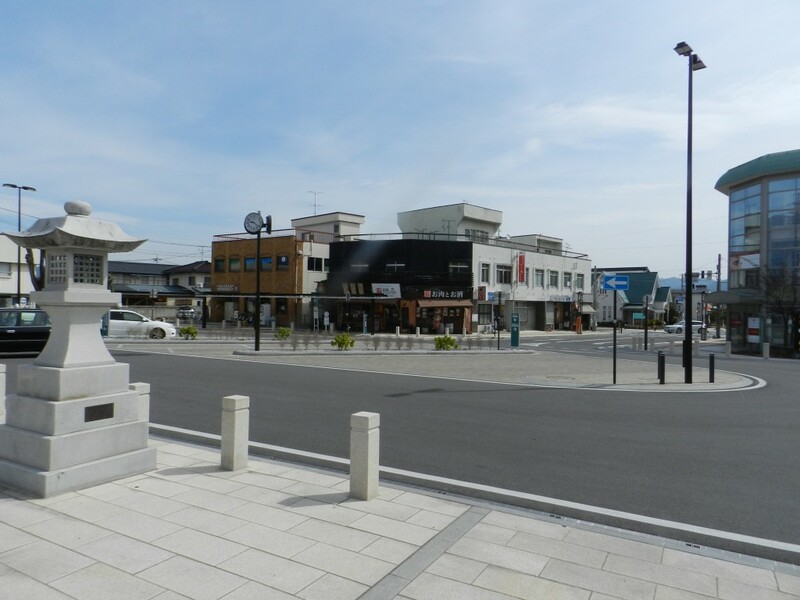 Rental bicycles are available from in front of Hotaka Station. When you get off the train, leave the station and look to your right. There’s a good chance you’ll see a member of the cycle shop staff smiling your way! In the absence of such a fortuitous encounter, do not despair! Directing your eyes ahead and to the right, your gaze should fall upon two stores with a multitude of bicycles out front. You can rent 4 hours on an electrically assisted bicycle for about ￥1,200. Both stores have helpful staff, and will give plenty of advice. However, it is not possible to ride these bikes to Matsumoto castle, as they must be returned to these stores at the end of the rental time. It might also be possible to use the share-cycle service. Called “HELLO CYCLING” it is a service that can be used in increments of 15 minutes, costing around ￥1,600 for 4 hours. 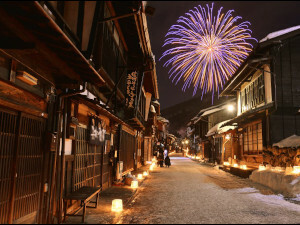 It is also flexible as you can leave the bike at any of the associated stations, including one at Matsumoto Castle. However the only way to use this service is through a web based application form that is only available in Japanese. It involves the download and installation of a Japanese app, along with registering a credit card. It might be impossible. 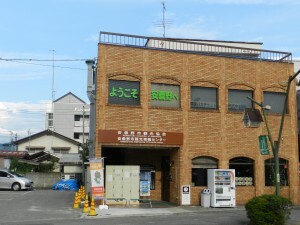 That said, the information center in front of Hotaka station has English speaking staff and free Wi-Fi. They may be able to assist you, and this kind of interaction is sure to add flavor to your experience. Matsumoto Castle is located about 15km from the Daio Wasabi Farm. It’s a little far. Plan on spending 3 hours to make the trip at a leisurely pace, enjoying the sights along the way. As you are likely not familiar with this area, please don’t take on more than you are comfortable with. If the tour is not yet running and you want to attempt the trip on your own, then our recommended route is as follows. This is the first iteration of our provisional guide, and is likely to see frequent revisions. 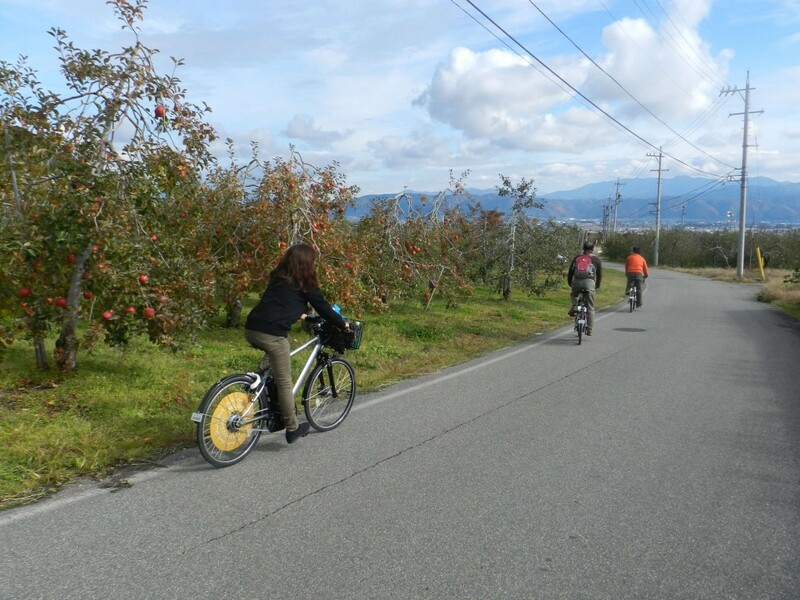 The countryside in the Azumino area is blessed with a number of great cycle paths and there are a variety of pleasant routes. The basic policy is to be mindful of both cars and pedestrians as you enjoy the countryside. 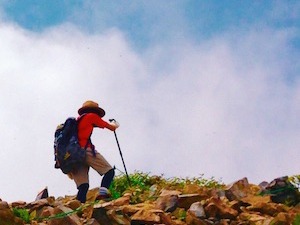 The guided tours will take deeper routes along less known roads thanks to the guides’ local knowledge. We’ll list the sights in order along the route, giving each a short introduction. Aside from marking the start of the cycle route, this is a great place to get information on sightseeing in the area, even if you have no interest in cycling. (In which case I won’t even ask why you are still reading). A temple brimming with local humanity, decorated with some giant traditional Japanese clogs. The wasabi soft-serve is good, but enjoying it in the unique landscape of babbling gravel beds, while fish glide silently beneath the crystal clear waters is priceless! Another relaxing spot to enjoy the pristine waters of Azumino. Local people come here to draw water for drinking. A scenic picnic area on a cycle path running alongside a canal. As the most picturesque point on this route, tourist brochures often use it to represent the area’s countryside scenery. Naturally, we do too. You can cycle along both sides of the river. Take the left bank to for pictures of the river with the Northern Alps in the background, or stick to the right bank for a cycle path free of cars. The bridges across the river also make for picturesque photo points. Congratulations! Well done! You did it! You have now made it to two of the (probably, almost definitely) #1 sights in the whole wide world. 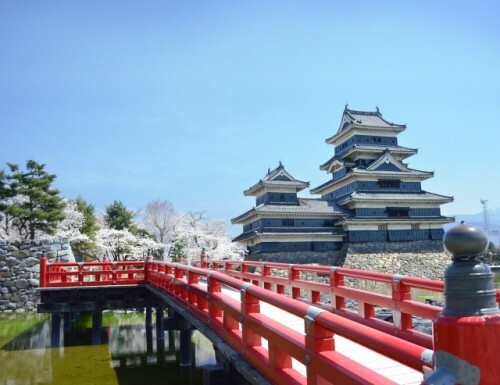 Feast your eyes on Matsumoto Castle’s massive structure and bask in your achievement. The HELLO CYCLING station is located in front of the museum. 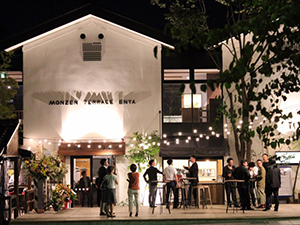 If you are cycling all the way back to Hotaka Station to return your rental bicycles, then we are cheering you on. Good Luck!